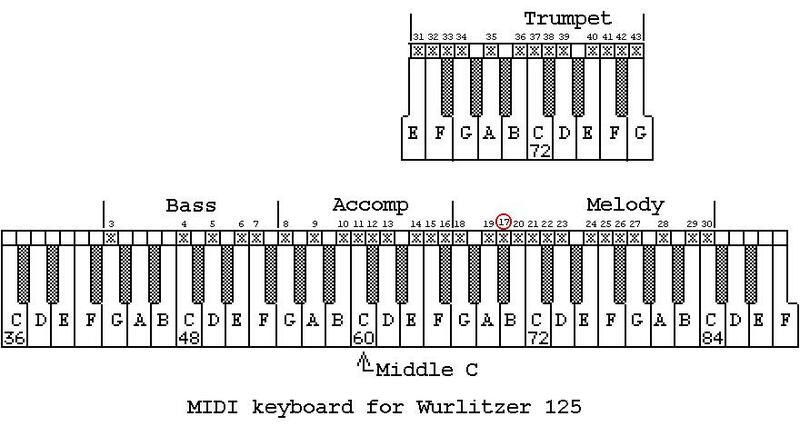 Wurlitzer 125 Band Organ Music and Instrument Data. reader:  pneumatic, suction, rectangular hole, hole height = ? All notes are not available; only those marked 'x' exist. Thus a chromatic scale cannot be played and music cannot be played in any key. Only those keys where the appropriate notes exist are allowed.